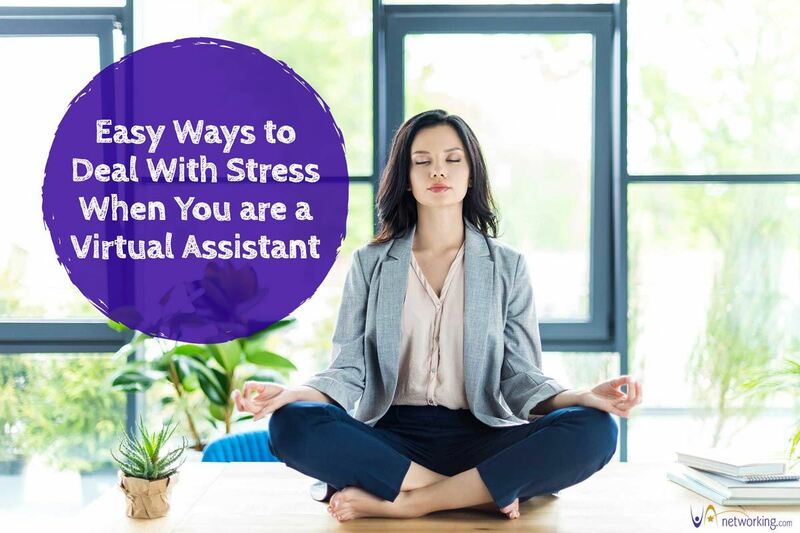 We all face it at some point in our business life >>> STRESS! And trust me, stress can wreak true havoc in your life, both personally and professionally. Symptoms of extreme stress can take both emotional and physical forms. Some common physical symptoms include aches and pains, diarrhea or constipation, nausea and/or dizziness, chest pain, rapid heartbeat, loss of libido, and frequent colds. Emotional symptoms may include moodiness, irritability or short temper, agitation or inability to relax, feeling overwhelmed, a sense of loneliness and isolation, and depression or general unhappiness. When I start to feel overwhelmed by stress, it’s important I try to identify specific stressors and examine how I can cope with them. I can then work to avoid, alter, adapt to, or accept the stressors in my life. During this stressful period I also had to learn how to say no. Know your limits and stick to them, in both your professional and personal lives. Whenever possible, steer clear of people who cause you stress. Take control of your environment – if scary movies make you anxious, for example, don’t watch them. AVOID dramatic conversations on Facebook and stay away from hot-button topics like religion or politics if they make you upset or cause conflict. And finally, pare down your to-do list. Separate the “shoulds” from the “musts” and drop anything that is not truly essential. There were some stressful situations however that I couldn’t avoid, so I phoned up a friend to express my feelings rather than bottling them up. If something is bothering you, convey your concerns openly but respectfully. At the same time, remain open to compromise. When you ask someone to change their behavior, be willing to do the same so that you can find a happy middle ground. In addition, be assertive and dealing with problems head-on, do your best to anticipate and prevent them. And finally, manage your time better. Don’t stretch yourself too thin and end up running behind. One night I stayed up all night to solve an issue and I paid for it the next day as I was tired and unproductive. If you can’t avoid or alter the stressor, you can adapt to it. Learn to view stressful situations from a positive perspective. You can reframe a traffic jam, for example, as an opportunity for some reflection time. Also, look at the big picture of a stressful situation. Ask yourself how important the stressor will be in the long run and whether it’s really worth getting upset over. If not, refocus somewhere else. Adjust your standards as well. Don’t set yourself up for failure by demanding perfection from yourself and others. Focus on the positive by thinking about all of the blessings in your life, including your positive qualities and gifts. Another way to deal with stress is to accept the stress you cannot change. Don’t try to control the uncontrollable – a category that encompasses many aspects of our lives, including other people’s behavior. Focus instead on things you can control, such as your reactions to problems. Again, look for the upside when facing major challenges and try to see them as opportunities for growth. When the stress gets to be too much, confide in someone you trust. Expressing your feelings can be cathartic, even when you’re powerless to change a situation. Reach out to your friends! Last but not least, learn to forgive – yourself as well as others. Accept the fact that we live in an imperfect world, and people make mistakes. Let go of anger and resentments and move on. Remember that an ounce of prevention is worth a pound of cure, so take time to relax and have fun when you detect symptoms of stress in your life. Set aside to time to rest, spend time with positive people, and do something you enjoy every day. And most of all, keep your sense of humor – including your ability to laugh at yourself. 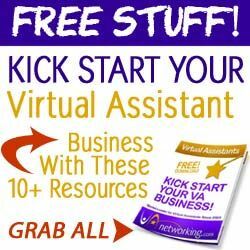 This is definitely a shared thought to every Virtual Assistant. 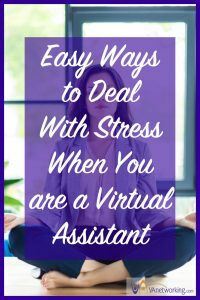 Some might think that Virtual Assistant doesn’t encounter stress as the are working at home. But little did they know, the volume of work they are into. The listed trait is a must have to survive in the Virtual Assistant game!